ABOUT US. Who Are We? First of all, We Are a Great Human Group who love our job, who wanna share with You the Touristic Treasure from Peru, offering very competitive prices AND keeping the service quality. 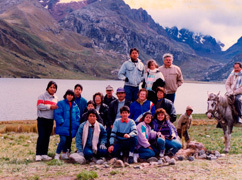 But overall, with the tyical HOSPITALITY of the Peruvian People. 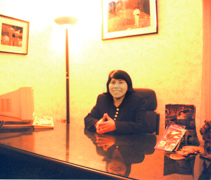 DORIS DELGADO TRAVEL & REPS. PERU SRL. (*) The Tax ID Number is the RUC (Registro Unico de Contribuyentes). This the ID Number for taxes purposes. * Specialized Service with Groups. * Security Certification Seal - SSL. Specialized Service with Goups . We have been working in the Tourism Business over 15 years conducting mostly groups. If You are planning to come to Peru, for ANY REASON, a pleasure travel with your friends, big Family, honeymoon, or your unforgetable Class, Bachelor or Graduate Travel, you reached the right place. The bigger the group, the LESS You pay! For a estimed price of a tour pack, just go to CONTACT, fill up the form and submit it. But before check our Featured Tour Packs built specially for You. - We don't have intermediate retailers, so we can deal directly with You. - Our Human Support is the Base of all our Operations. - With the Internet tools we save a lot of money. Security Certification Seal-SSL.We have SSL Cetificate, which give us the protection to manage the site on a secure environment. Also You get the protection to pay online with peace in mind through PAYPAL (who also got SSL). You can also pay online with your Credit Card even when You are not a Paypal member. The Security allows you to also exchnage confidential information. Learn More. If You are in Peru, the best way is the Bank deposit. Why do you have to pay more for a better and polite treatment? ¿Does a smile have a price? We want You to come back to Peru over and over. The Hospitality and personal touch arises from the first contact with a Business. Behalf on that, our first task is to answer EFFICIENTLY all received emails within minutes. If we can do it before, good for us. We want You to WIN from every dollar, euro or Nuevo Sol you invest. A trip to Peru might not be every year, and you will come all the way from... We know that you have been saving with patience and hard work all this time, just to see The Land of The Inkas. Don't just go for the high prices many times just "promises" of good service. Also, don't go for the lower prices putting in risk your investment. We want to stand and look good in front of you at the end of the trip. 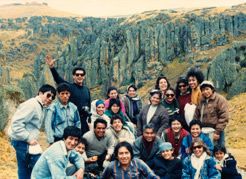 We will expect you recommend your friends to travel with MagicPeru. We will be specific on every detail of our tour packs. If there is something not so clear for you, do not hesitate to ask and we will answer you completely with the True. If our offers don't meet your expectations, we will sguggest you other ways to get want you want. 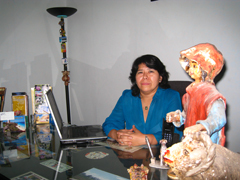 Everything started with the initiative of Doris Delgado, tourism and hotel magagement student, was named to manage the social tourism department of the Lima Governation. Later on was promoted to Receptive Tourism Manager. She managed several tour packs at low rates and one day decided to leave the governation and found her proper travel agency due to the high non exploted potencial. 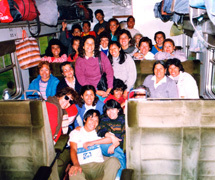 Above pictures of tyeh first groups in 1991 and 1992. On her own, started to work on tour packes at lower rates but conserving a standard quality that every tourist deserves and took many groups from schools, universities, institutes to tyhe inner cities of the country. 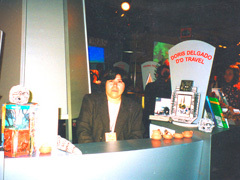 All those organizations are still clients of Doris Delgado Travel & Reps..
On 2001, she participated in the first fair promoted by Promperu, called: "Touristic Marketing: Peru your always destination". With the masification of the internet we've been saving a lot of costs in communications and leaving the paper printing to what we consider really necesary. In this way, we are also an environemental agency.